Juliana Ronn ’18 sits atop of her horse. She will compete at this year’s national championship with the team. 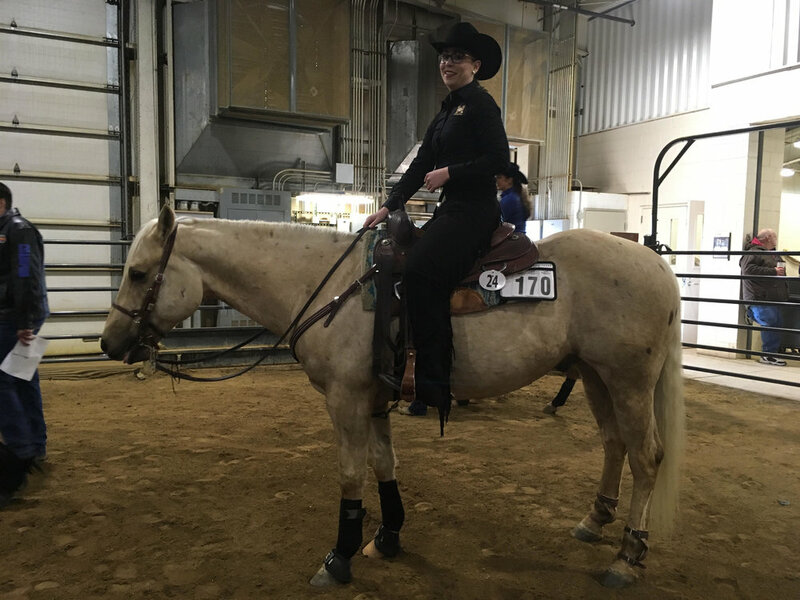 Western riding team captain Juliana Ronn ’18 is headed to nationals in Harrisburg, PA on May 3 to compete individually in Open Horsemanship and Reining, the highest level of the Western Intercollegiate Horse Show Association (IHSA). Ronn has been a member of the western team for three years and its captain for two. This will be Ronn’s first appearance at IHSA nationals. “I just want to have fun,” she said. “I think it will be a great experience and it is always fun to watch the ‘real’ western riders who have been doing it for their whole life. And the outfits are always amazing. I’m just hoping to have fun and do the best I can.” Ronn will be renting a special show shirt for nationals that she describes as “glittery and crazy. It’s black and blue with sparkles,” she said.